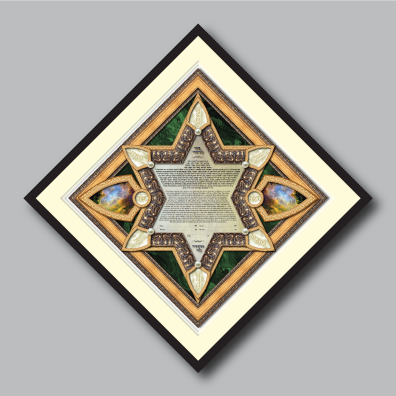 The "Sefirot" ketubah captures the awesome power and mystery of kabbalistic symbols and imagery. 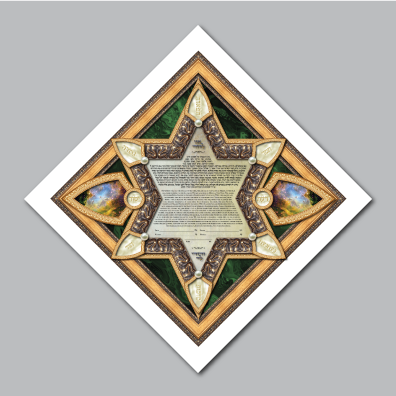 The six points of the Mogen David, or Star of David, create the framework for the sacred elements of the "Tree of Life" from the mystical kabbalah. These divine words surround the heartfelt sentiments of love and commitment by the betrothed couple. 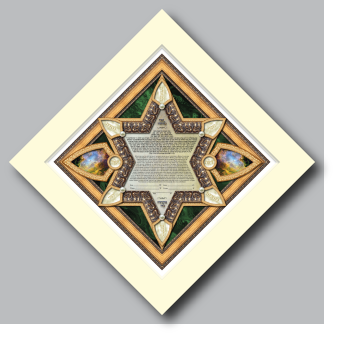 Flanking on either side of the ketubah text are the words "Yesod", meaning "foundation", and "Da'at" which means "knowledge". 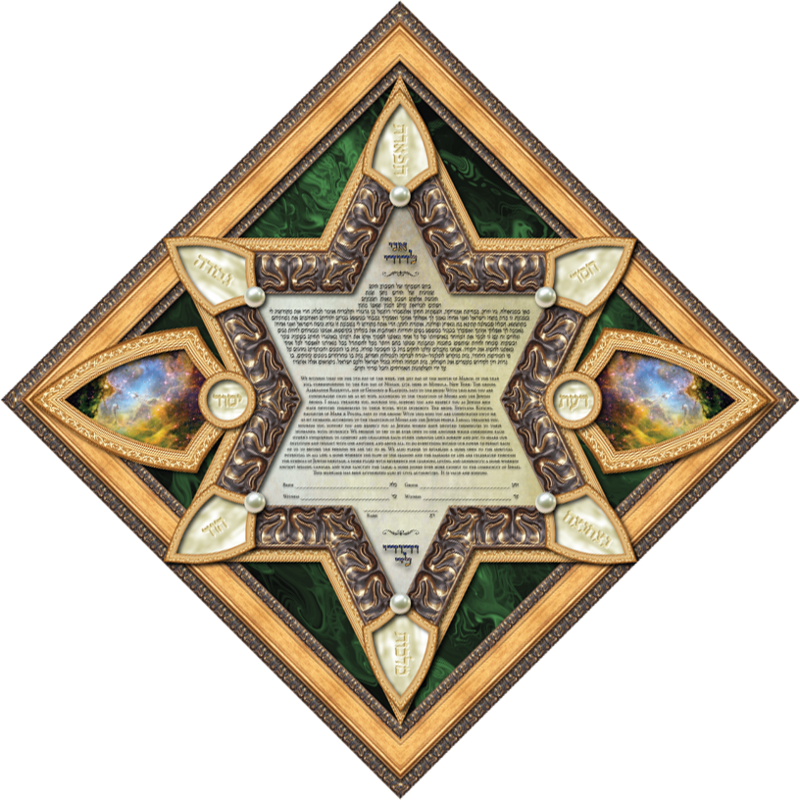 It is the location (the mystical state) where all ten parts of the Tree of Life are united as one.